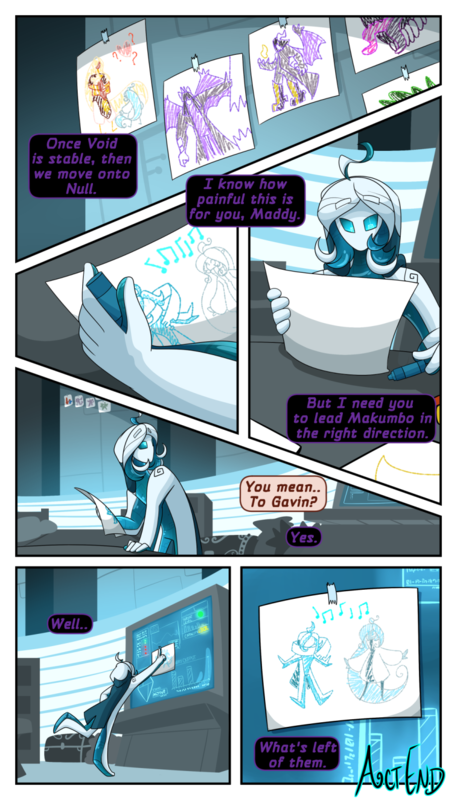 The final page of Act 1! Thank you everyone for sticking with me through this journey! There will be a brief ‘Mini-chapter’ based on Mandy Robertson’s Star-Crossed as a tie in and a ‘breather’ from the current happenings of AE before heading into Act 2, Descent into Madness! Holy moly this is wonderful!! Your storytelling and universe is simply breathtaking :)) Thank you ! This is me. This is Makumbo. We’re married!